ABC analysis and classification is a method for classifying inventory items that will have a substantial impact on overall spending of an organization. It presents a solution to maladministration of inventory within purchased items or availed services. The breakdown proposes that inventories are not of the same value; therefore it requires different management tactics and controls. The categories are sorted based on its projected value. Below you’ll find an example of ABC analysis and at the end a suggested video resource that shows how to manage each category. But First things first. What is A, B & C in ABC Analysis & Classification? 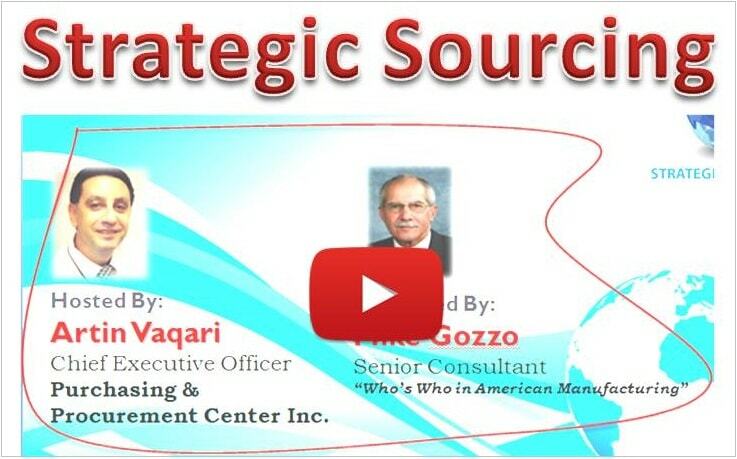 “A” items are very important for an organization because of its high spend value. Normally A items are those items for which an organization spends close to 80 or even 90% of its money. This is where the big bucks are! “B” items or suppliers are those that an organization spends about 10% to 15% of its money. These are not that high in priority but still may need to pay some attention. “C” items or suppliers are those where spend is very low. Usually companies will have around 75% to 80% of suppliers in this category. Recommended for this category is to … “Get Rid of ‘Cs”. While supplier consolidation is one of the common strategies used with C suppliers, it does not mean to repudiate the relationship with the C items/suppliers. “Getting Rid of Cs” is more about resorting to automation and process. 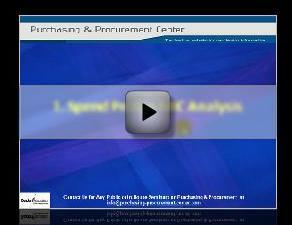 Watch this video here that explains about spend/ABC analysis & what “Get Rid of Cs” means. Overall “A’s” are most important/highest spend, “B’s” are important, but of course less important than “A’s” but more important than “C’s”. “C’s” then are least important. Example of ABC Analysis & Classification? On the example above for simplification purpose we’ve identified 3 categories. Let’s assume that the total cost of expenditures for this Hospital is 30 Million. Medical supplies account for most of the budget 24 Million/80%, but the item/supplier number are the lowest - only 10% or 30 out of 300. These items can be classified as “A” items. They are the most important goods in the operations of the clinic which may include surgical gloves, face masks, medical disposables. Additionally house-keeping supplies account for at least 15% of the cost from the total budget i.e. 4.5 million out of 30 million. They are classified as “B” items that clinical operations use on a daily basis. This may include tissue paper, antiseptic soap, aerosols etc. The remaining 5% of the cost is office supplies, classified as “C” items. This includes pens, printing papers, paper clips, printing of marketing materials etc. Overall the ABC analysis & classification can be attributed to the Pareto principle (80-20 rule) wherein it is believed that roughly 80% of the effects come from 20% of the causes. What do you do once ABC analysis & classification is completed? All of the A, B & C items are needed but a procurement professional knows how to deliberately group these items accordingly by importance and urgency of need in order to come up with considerable amount of savings. Items classified as “A” are subject to cost & price analysis to save more. Either reassess other goods of the same quality or plan on how to properly stock and order to avoid overstocking or exceed in budget allocation. Planning on how these items should be purchased is also critical. If we’re looking on a timeline drafted for one month, purchasing “A” items can be done weekly, “B” items in a bi-weekly frequency and “C” items every 4 weeks. Thus making inventory control easier and focus on “C” items lessened. The rationale of this categorization is to make sure that procurement professionals utilize funds to utmost proficiency by giving attention on those items that have the highest conceivable savings. Think of this approach as a wonderful opportunity to increase savings. An eagle-eyed handling will be more helpful than a method that considers all items identically. If yes, then you’re going to like more this short free 20 minutes video training that will show an actual example of how to do a spend analysis of all your inventory items or suppliers and classify them in A, B and C groups. And finally it shows what do you do with C items/suppliers and what we mean by “Get Rid of the C’s”. Watch the video here.